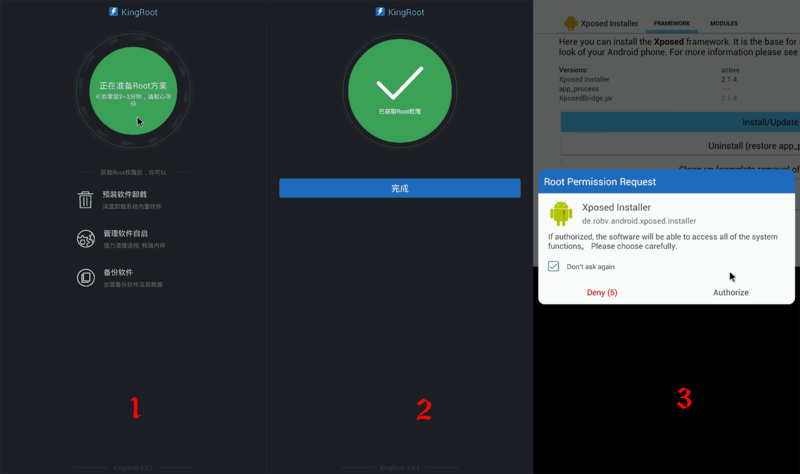 Is the kingroot apk really a virus? It has come to my attention today with the help of my webadmin that there was an .APK that I allowed for download to peoples Ouya consoles on my site called KingRoot. That will no longer be available on here. Continue reading if you want to hear more. Android.Lotoor is a generic detection for hack tools that exploit vulnerabilities in order to gain root privileges on compromised Android devices. Well, that’s the soul purpose of KingRoot! Is to hack your phone or in the case of the write-up that I have on this site your Ouya! It’s designed to copy a “su” binary in your /system/xbin folder and then turn around and add a symbolic link to /system/bin/su so that a regular android user can access super-user functionality which is needed in order to run additional services and daemons that your phone or game system initially did not have. Why the paranoia from virus engines about android root tools like kingroot? The reason why virus engines are responding to this threat now is simple. That android developers that make such tools cannot be trusted. Just because you give a user the benefit of unlocking their phone or their game console. Why stop there? Why not inject ads into their phone, how about hijacking their password database? Which unfortunately there’s some developers that are doing just that. Absolute power corrupts. So, Symantec and many other sites have to take a stand on something that initially was not a problem but now is. And unfortunately that effects this very site. You see I used to give out KingRoot as part of my Root the Ouya blog as an alternative for an old apk that is now depreciated rootmyouya.apk . I was not overly thrilled with KingRoot but Ouya users just wanted something simple and quick instead of going through the entire adb system to root it themselves. This site is left with no choice but to pull it down. This can be contested with the web-provider stating that its a false positive and that would be totally fine. But the moment search engines get a hold of this site for crawling it for data and see that I have a binary that is classified a virus. Any level of reputation would be destroyed in an instant. This site would get buried or simply removed off of the search engines out there. And once your gone, it’s very hard to ever return! The section below is the comments from the Root My Ouya Blog. If you want to download the file that used to be here. It was called “Kingroot_v3.3.1.apk”. Personally, it’s not worth the risk to even download the thing. Just go through adb and do it manually. Actually learn something about how android works. Kingroot has bricked a lot of phones such as Samsung and LG! Okay, this blog was originally intended to explain why I’m not hosting the file for the Ouya Console which is very easy to recover if something goes terribly wrong. However, I keep getting these horribly written and almost violent responses towards me about how Kingroot destroyed their phones as if I was the person in china that made this problem. First off. I didn’t make KingRoot! That program is a hot mess! I would never take credit for a program like that. Second; Because of its popularity there’s actually some rather harmful versions of this APK out there. Hence, why virus companies like Symantec had to put their foot down. Third and this is really important : LG and Samsung actually go out of their way to STOP users from rooting their phones . LG’s way of stopping people is when a next software update of their phone is released and the user agrees to download. It detects that root program and hard-bricks the phone with no chance of ever going into the recovery partition and restore default parameters. Samsung takes a different approach and simply voids your warranty if it detects rooting software on your phone when you do a warranty exchange costing you anywhere from $300-$600 for a replacement phone. This all comes down to the fact that when you root anything, you’re destroying what security that is left on your phone, you take full responsibility and if it bricks its totally your fault! Now I’m going to comment lock this article because honestly, I think there’s nothing more to be said about this topic. Original article below kept for archival purposes. KingRoot is a alternative to the RootMyOuya and was designed for a multitude of phones to get instantaneous root access over their device. Installation is simple. Just click the green button and it will work its magic in putting your Ouya into Root mode. then after it is done. click on the blue highlighted area in step number two to be taken to RootUser (this may take a few seconds before it goes there) and that’s it! . This method may be the simplest to download and install (and only the KingRoot app is in Chinese, KingUser which is also installed after KingRoot is in English and is configurable) however this method has its issues. KingRoot has no landscape mode. It will always distort your Ouya every single time it asks for permissions to do anything. You can minimize this issue with the secondary app it installs “KingUser” but to me it is far too annoying and it almost feels like its breaking the Ouya every time it flips the screen like that. Even though the option is present to turn off the intelligent permission request screen. It is ignored on the Ouya so if you have a program like Samba which asks for superuser permissions it will harass you a lot! Unlike the previous root screens. The screen in #3 cannot be selected with your Ouya’s joystick. It has to be selected with the trackpad. Which also goes for all of the menus in KingUser. Bottom line, this may be the best GUI method for getting your Ouya Rooted as of present. But it has issues that I simply do not like.